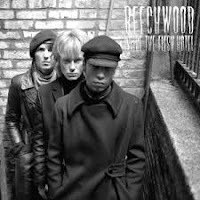 At the beginning of this year I reviewed Beechwood's previous album. Although I liked it, not all songs on the album sounded totally convincing. As if the band was in search of something but had not quite found that something yet. Come June 2018. If Beechwood has not found what it is looking for now, it can only allude to the coming of an absolute masterpiece. Inside The Flesh Hotel (at first I recognised the title as In The Land Of Flesh, a consistent title, that's true) can be seen as a giant step forward. Almost as if the band was caught by surprise as well. Listen to how the album starts with 'Flesh Hotel'. Nothing in the guitar notes played gives anything away from what follows. A strong, alternative rock song. Sleazy up to the hilt and drenched in echo on the guitar, a muddied sound that allows a guitar to escape here and there or some loud screams to underscore the anxieties playing out their fantasies in the flesh hotel. So hesitatingly and searching as the song starts, so direct this song is. The in your face turn in the song around 2"06 minutes can flatten any boxing champ. With 'Flesh Hotel' the listener is wide awake and ready for the storm that is about to come or has hidden deep down in the shelter. There's no middle way here. This is not to say that Inside The Flesh Hotel is an all around original album. Far from. Beechwood is not afraid of showing its inspirations and let's them shine through in its music. From 60s female vocal groups to The Ramones and pop rockers like The Romantics are mixed with melodic streaks that spice and spruce up its songs. Beechwood even lets a poppy piano into its mix, reminding me immediately of The Kinks' use of the instrument in 'Village Green Preservation Society' and The Beatles vocal melodies here and there. Look at 'Amy'. This is an extremely poppy and alternative song at the same time. The oohs and aaahs do a miracle for the song, as does the melodic lead guitar. Something Weezer could have been proud of. All together I'm hearing a hit song, alas in 1967, but wasn't that one of the strongest years in pop hits? It doesn't stop here. 'Bigot In My Bedroom' is a mix of The Beach Boys' 'Student Demonstration Time' and T.Rex. There certainly are more than two reasons to like this song. The third is Beechwood itself. Singer Gordon Lawrence is a joy to listen to. His apparently uninterested, secretly extremely interested delivery of his vocals are always interesting to listen. They all have a perk up your ears moment and melodically make each song more interesting. Things go all out on the instrumental 'Nero'. Shouts are the only vocal delivery. The shout of despair and no escape in a city burning. It must be a total joy to play and to dance to in total abandon. The reigns are pulled in for 'I Found You Out', if only for the verses. Another song that shows the prowess of Beechwood in abundance. Again an example that a song is not something that goes straight forward from a to b, but can use a twist if the band can find a credible one. Neither is, returning to my first point, Inside The Land Of Flesh a loud album. It is in places, certainly, but Beechwood has found it can make a point through subtlety as well. That melody goes for effect. This makes for the third reason I like this album so much. Expect that to be the gist of this album. Like 'Songs From The Land Of Nod' 'Inside The Flesh Hotel' is an album containing many styles. There's one major difference: the songs are so much better, diverse and worked out. Beechwood seems to have found a part of itself it wasn't really aware of yet. Not playing The Kinks, 'I'm Not Like Everybody Else', but incorporating the best of that band into its own songs. That part spelling U.K. in the mid to late 60s as in The Beatles and The Kinks, where melodies get involved. The combination with the 1977 NYC punk (attitude) is becoming irresistible. So gentlemen Beechwood, should you still be in search of that "something", believe me you're looking in the right direction. It all ends with a folky, country acoustic 'Our Love Was Worth The Heartbreak,' a mix between, believe it or not, The Rolling Stones' 'Sweet Virginia' and The Cats' 'The End Of The Show'. Somehow that spells a great song. Out of sync and out of style with Inside The Flesh Hotel for 100%, perhaps recorded totally drunk, but when things get to so much fun, who cares? Something to do with a horse and a mouth.